As far as headsets go, LucidSound’s LS35X is my go-to headset this year for wireless usage on the Xbox One. From the moment you take the LS35X out of the box, you are intrigued by its sleek appearance, impressed by its laughably simple set up, and perfectly content with a no-nonsense sound performance. On top of all that, you have one of the most intuitive set of controls that I’ve experienced on a headset. 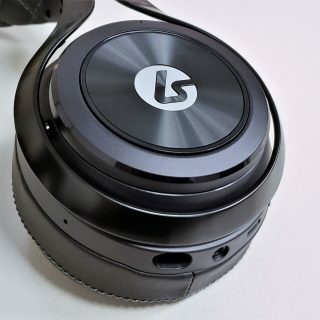 Mind, I have experienced If you’re looking for a wireless audio solution for the Xbox One, that has no dongles or transmitting stations to connect, and performs brilliantly, then the LucidSound LS35X needs to be first on your list of headsets to check out this holiday season. This is a “best that money can buy” choice for me at $329.99. Yet, the SteelSeries Arctis Pro Wireless does a great job at validating its price point. There are headsets out there in this price range that focus on maximizing driver performance and mic quality. Others focus on leaning on a wide set of features to merit the headset’s value. 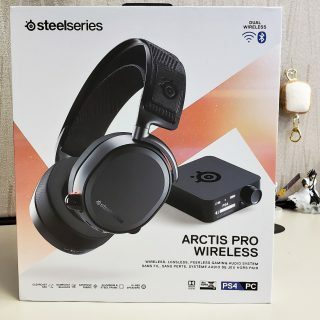 The SteelSeries Arctis Pro Wireless gives you both the sound quality and feature set that you should expect in a high-end wireless gaming headset. Not to mention, the headset’s stunning yet subdued gaming appearance makes it a headset you want to take out in public. Should you take the plunge, this headset is bound to keep you from regretting it. It is the best headset I’ve used for the PC, this year. It extends the majority of its vast set of features effectively on the PS4. However, Xbox One owners aren’t left in the dark here. SteelSeries even drafted a set of instructions on their website that shows you a way that you could use this headset 100% wirelessly on the Xbox One as well, while still incorporating chat functionality. All in all, the Razer Huntsman Elite is the slam dunk of keyboards for anyone looking for excellent performance and feel, backed by loads of functionality. Here you have a keyboard that is a dream to use and a joy to look at. Its aluminum top plate and threaded cabling ensure that the keyboard is both sturdy and snag-free. The Razer’s Opto-Mechanical Switches were the surprise I was looking for when we first saw them at E3. You have excellent comfort with both key-pressing and wrist-resting. Most importantly, key press actuation is on point and never falters, which is what you should expect from a $200 keyboard. Ultimately, the Razer Huntsman Elite is the luxury gaming product that is deserving of your $200. Through Razer Synapse, you have a world of customization at your fingertips. Even if customizations, a luxurious feel with that wrist rest, or additional features are more than you care about, the Razer Huntsman Elite is still a win in its build quality alone. If you’re looking for a top-of-the-line keyboard in 2018, the Razer Huntsman Elite is definitely worth your time. 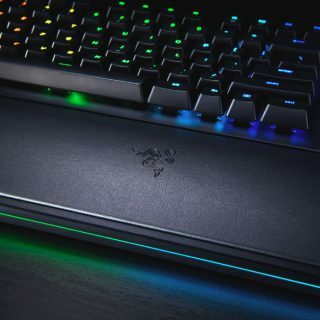 If you mostly care about Razer’s Opto-Mechanical Switches more than the wrist rest, additional features and lighting options, and you want to shave off $50 from the price, you could also always check out the Razer Huntsman, for $150 here. 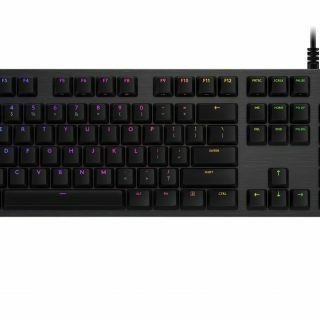 Fully recognizing that paying over $100 for a gaming keyboard may be a bit much for many, we can still suggest very solid one at the sweet spot of $99. The Logitech G512 Carbon Mechanical Keyboard is a steal of a purchase that gets the job done. Its brushed aluminum chassis promotes confidence in the overall build quality of the G512 while adding a nice bit of style at the same time. Despite being a full QWERTY keyboard complete with numpad, the G512 has a compact footprint, not taking up more space on your desk than it has to. The GX Blue switches are a dream to both play and type on, making it an attractive purchase option for the G512. If you’re in the market for a new keyboard that is both slick in appearance and performance but doesn’t break the bank, do check out the Logitech G512 Carbon Mechanical Keyboard for yourself.